We have equipped our 6,000 sq. ft precision machine shop to be capable of handling the heavy fabrications we build. Our fully CNC Gantry Milling Machine has the capacity to cope with a 20 tonne fabrication with a maximum size of 7.6M x 3.5M inside gantry x 2.5M under tool. The machining area is 7M in length x 3.1M in width x 2M in height, all in one setting and to a tolerance of 0.05mm (2 thou). This machine is fitted with a Fanuc CNC Controller with a Beaver 5 Face Mark 2 Milling Head and a 72 position tool changer. Due to scarcity of a working area of this size we regularly take on machining only subcontract projects in a variety of materials for our customers. We also have a Union 130 Horizontal Borer with a maximum fabrication size of 2.6M long x 2M high x 2M wide, a Union 80 Horizontal Borer with a maximum fabrication size of 1.5M long x 1.25M high x 1M wide and finally an Asquith Radial Driller with a bed size of 3 x 1.2M and a maximum swing of 2.4M completes the machine shop setup. 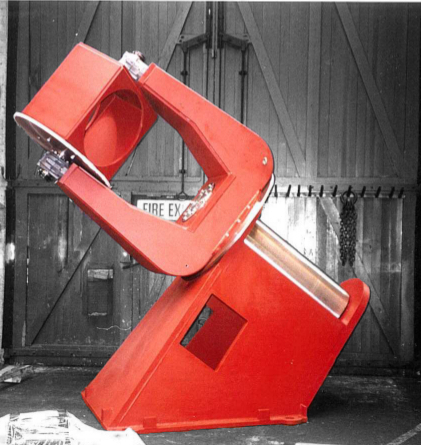 Over the decades we have worked with almost all the heavy machine shops UK on various projects that were too large for us to do in house. This has given us a wealth of experience on who to trust, and almost as importantly who not to trust, to give the tolerance and delivery you require. Contact our friendly staff to find out what we can do for you. Our skilled quoting team are experts in turning around competitive quotes in a short time frame. BS EN 288 / BS EN ISO 15614-1 / ASME IX. BS EN 287-1 / ASME IX.